If you haven't already noticed, we LOVE chocolate here at This Is Nuts. 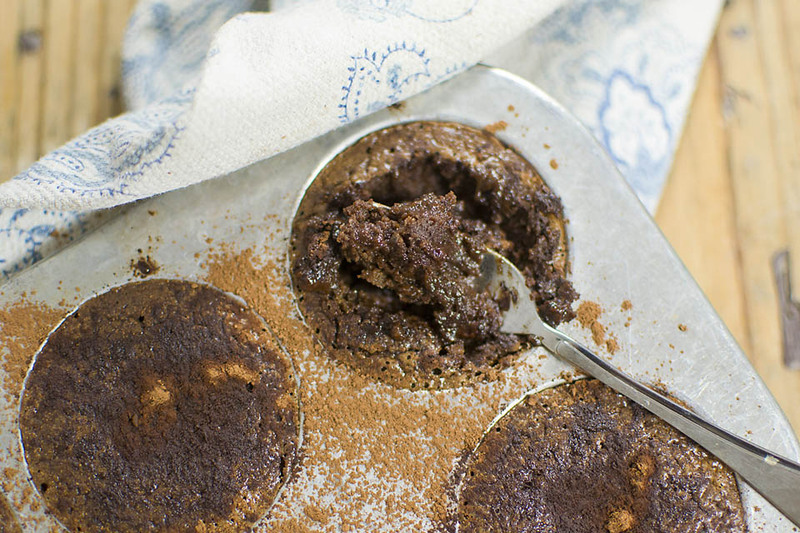 This gooey chocolate cake in a cup is super duper easy to make and will satisfy all your dark cravings. Perfect for an occasional weekend treat or for dessert when entertaining with friends! The recipe is heavy on eggs, giving it a smooth texture and making it extremely rich. One small cup is enough to satisfy even the most die-hard sweet tooth. For optimal gooiness, you'll want to get the cakes out of the oven well before they become firm. If the middle is still runny, you're doing it right! Beat eggs, egg yolks and coconut sugar in a large bowl until fluffy. Melt the butter and chocolate in a pot stovetop on low heat, while stirring frequently. Set aside and let cool for a few minutes. Add the egg mixture to the melted chocolate and butter, little by little, and stir until all is combined. Mix in almond flour and most of the cocoa powder. 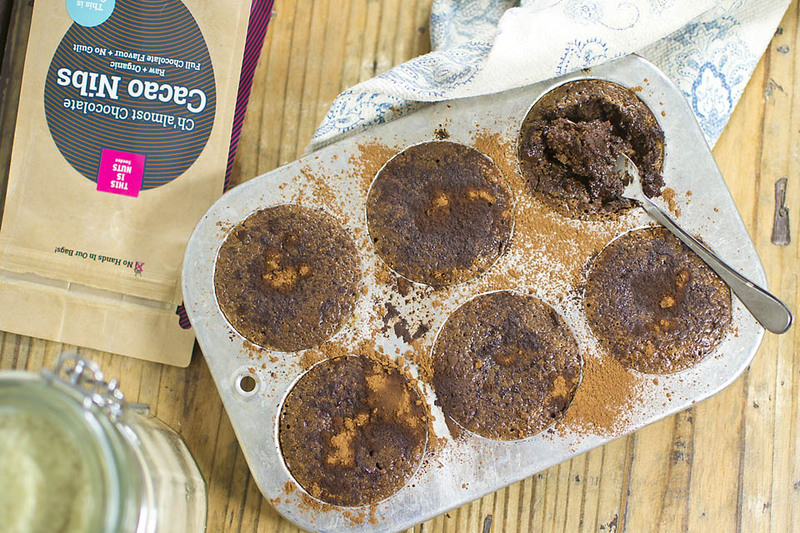 Grease a cupcake pan or individual cups with the coconut oil. Use a spoon to fill the cups with batter, all the way up to the edge. Bake at 180C for 10-12 minutes or until they have risen and have a nice crust. Resist the temptation to leave them in until they're baked all the way through - the middle is supposed to be runny! After the cakes are done baking, scoop them out and sift some cacao powder over them. Serve with vanilla ice cream or whipped cream.